Every donation – small or large – makes a dramatic impact. We are always in need of food and specific clothing items. Drop items off at 687 N Thompson Street, Portland, OR 97227 Monday through Friday between the hours of 9:30am to 11:00am and 12:30pm to 3:30pm; and Saturday, 9:00am to 1:00pm. Drop items off in the blue donation barrel at any Portland Police Precinct. If you have more than 100 pounds of food call us at 503-823-2119 to schedule a pick up. Want to help? Host your own food or clothing drive at your work, school, or organization. Pasta, Dry Beans or Legumes, Tuna Fish, Canned Tomato products, Rice, Fresh or Frozen Vegetables, and any Canned Dinners (stews, chili, ravioli). We are always in need of warehousing, food storage or handling equipment, and professional services. We do not accept home furniture. If your organization has the ability to donate any of the following, please contact Kyle at: kyle@sunshinedivision.org. Appreciated stocks (securities) and real estate are among the best assets to fund a charitable gift. The gifts can be made outright or used to create an estate plan beneficial to you for the remainder of your life and the Sunshine Division thereafter. 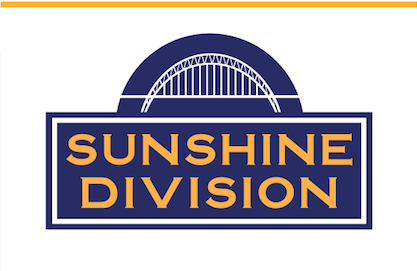 Are you interested in donating a vehicle to the Sunshine Division? Your car, truck, van, RV, or boat with trailer can help us make a difference. The vehicle must be complete, including tires, motor, drive line, and transmission. 4650 North Lombard Street Portland, OR 97203.